Whether they’re a good witch or a bad witch, these enchanting women have cast their spell over comics, literature, film, and even mythology. Some are funny, some are scary, but all are downright magical and memorable in their own way. We went through a lot of toil and trouble to make this countdown showcase the best of the best- if you’re asking yourself, “Which witch will they pick?“, then listen along to find out! While she’s a witch in name, Wanda Maximoff- Scarlet Witch- is actually a mutant in the Marvel Universe. Her unique mutation allows her to manipulate reality, and is referred to as chaos magic. We chose to give her an honorable mention as a representative for many of the magic-based, but not traditionally witchy, heroes that could have made this list but ultimately didn’t fit the qualifications of a traditional witch! Witch Hazel first appeared in the Looney Tunes animated episode Bewitched Bunny in 1954. A similarly named character had appeared in a Disney production in 1952, but the Looney Tunes character became more well known for her humorous blunders and cackling laugh. She has the green coloration of many other ‘wicked’ witches seen in film and animation. Her name is a pun on the witch hazel shrub, and her story is incredibly similar to the witch from Hansel and Gretel. Witch Hazel is also a member of the Malevolent Order of Witches, and has frequent run-ins with Buggs Bunny. Reverend Mother Gaius Helen Mohiam is the leader of the Bene Gesserit religion in the Dune novels. She tests Paul Atreides with the gom jabbar to see if he might be the Kwisatz Haderach, a promised leader of the Bene Gesserit people. Their powers are somewhat superhuman, and outsiders in the world of Dune call them witches. They use the drug mélange to augment their abilities, and are secretly guiding humanity along the path to the future. Circe, the witch from Greek mythology most known for capturing Odysseus and his crewmates, is one of the older examples of witchery in popular culture. She is the daughter of the Titan Helios, and Perse the Oceanid nymph. She is best known for turning those who anger her into wild beasts, which roam her island. Beyond Greek mythology, she appeared in a lot of Latin literature and Medieval stories as well. 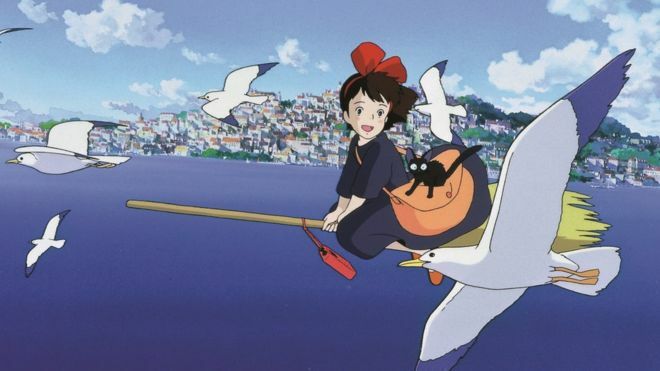 This witch made her debut in 1989, in Hayao Miyazaki’s Kiki’s Delivery Service. Along with her cat familiar Jiji, she’s sent out on her own to learn and grow as a trainee witch. In the film he opens a delivery business, delivering goods on her broomstick, and the Studio Ghibli film is a beloved coming of age story. She’s a more traditional type of witch, and is beloved by many fans around the world. By the pricking of our thumbs! These three witches are some of the most famous literary witches, known for giving Shakespeare’s Macbeth his portentous prophecies. Like the Greek fates, this trio speak in mysterious phrases and can see the future of the men who encounter them upon the heath. Several lines that the three witches have in the Scottish Play are now famously associated with witchcraft on the whole- from ‘double, double, toil and trouble’ to ‘something wicked this way comes’. Also known as Jadis, the White Witch is the woman responsible for freezing Narnia in the Hundred Years Winter in the Chronicles of Narnia series. She is a daughter of Lilith, and is one of the Jinn. She is cold, literally, and terrifying to the many children who find themselves in Narnia. This trio of witches star in the beloved Disney Halloween film Hocus Pocus, which just celebrated its 25th anniversary this fall. These three sisters were summoned from their imprisonment by the lighting of a black candle, and then they wreaked havoc on Salem, Massachusetts. Played by Bette Middler, Sarah Jessica Parker, and Kathy Najimy, the Sanderson sisters embody the maiden-mother-crone cycle of witchery, and are ruthless and want to sacrifice children, which plays out with a lot of humor in the film! Introduced in the 60’s as Sabrina, That Cute Little Witch, Sabrina Spellman is one of the most well-known witches in comics. She debuted in Archie’s Madhouse #22, but then took on her own life with a long-running comics series, multiple films, a 70’s television series, a popular 90’s sitcom, and several animated series. Her horror-themed series Chilling Adventures was then picked up by Netflix for multiple seasons after the success of the Archie-inspired Riverdale. Season 2 of the series is currently in production, and while the comic series is on an extended hiatus, it should return with even more issues soon. Also known as the brightest witch of her age, Hermione Granger is one of the most brilliant witches featured throughout the Harry Potter series. Between books and film, she represented the audience’s bridge into the magical world- since she is muggleborn and comes from ‘our’ world. Hermione exemplified bravery, intelligence, and resourcefulness while becoming one of the most skilled witches- taking on Voldemort, brewing advanced potions at a young age, and learning charms and spells that even her classmates couldn’t manage. This witch is one of the most iconic in all of pop culture- the 1939 film popularized her green appearance, and her legacy has spawned numerous literary revisions, new novels, television series like Once Upon a Time and Emerald City, and of course, the stage musical Wicked. Did you miss any of our previous episodes, including Top 10 Sharks in Pop Culture and Top 10 Marvel Legacy Characters? You can check out the full Geek Culture Countdown podcast on iTunes. Keep an eye out for new episodes and more ways to listen coming soon.